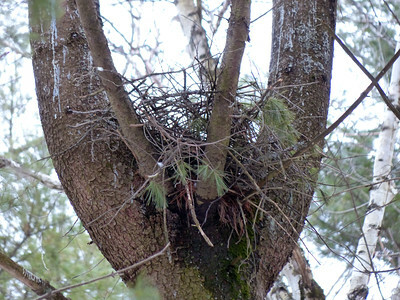 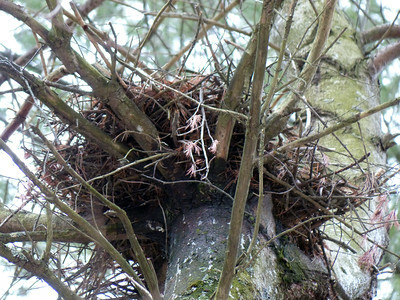 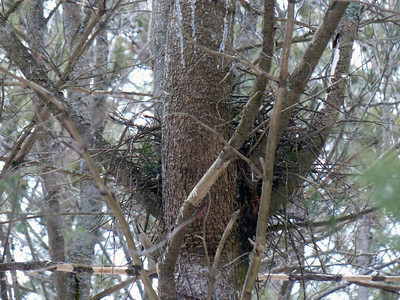 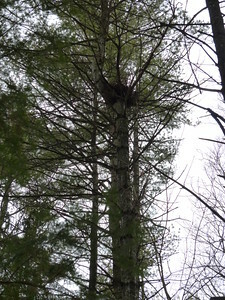 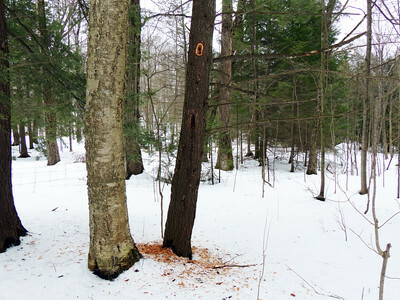 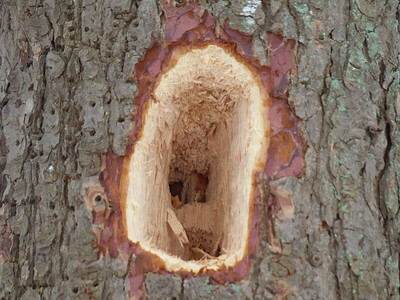 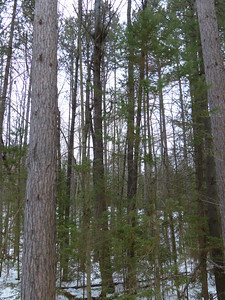 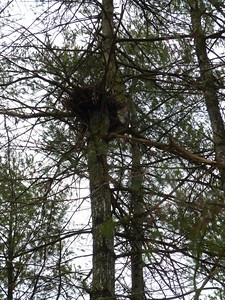 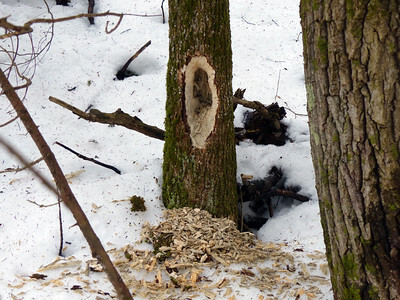 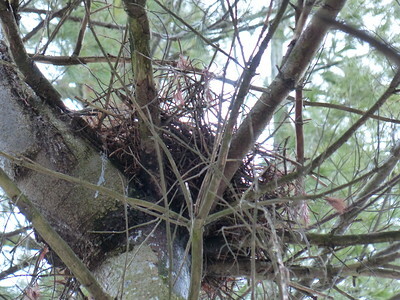 Photos of bird sign for Northern Goshawk, Pileated Woodpecker and Eastern Screech-Owl along the trails at Emily Tract. 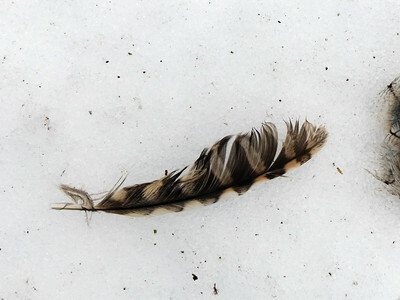 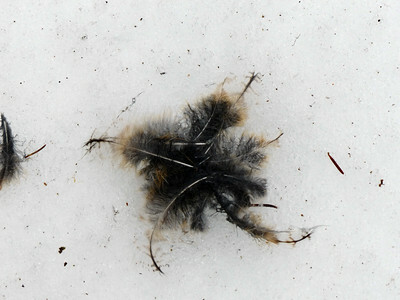 Eastern Screech-Owl - various feathers left on snow from being killed and/or scavenged. 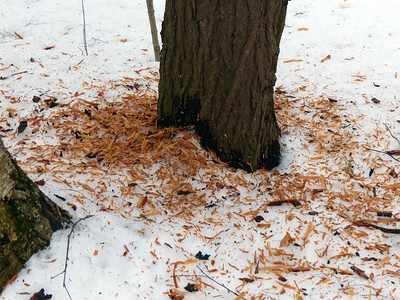 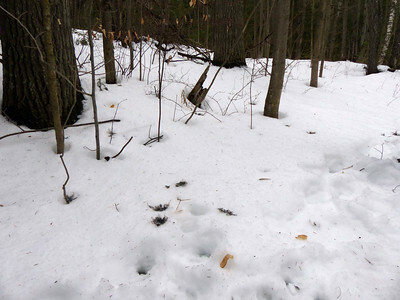 The scene was degraded due to melting snow and compromised by people and dog tracks. 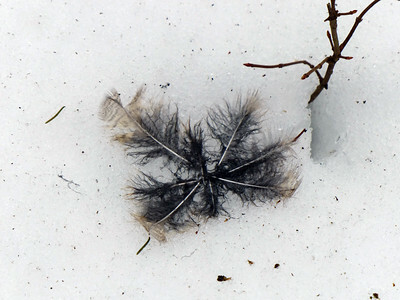 Eastern Screech-Owl - feather, appears to be a secondary wing feather. 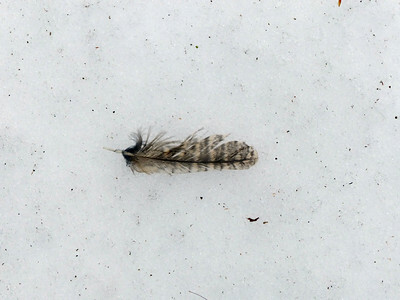 This feather was used for the ID.